During his tribute to Xabi Alonso in the Daily Mail, Jamie Carragher claims that he never understood Rafa Benitez’s attempt to offload the Spaniard in the first place – especially to replace him with Gareth Barry. The decision is an infamous one, and although it never actually came off, it turned Alonso against his manager and when Real Madrid came calling a year later – the midfielder demanded an exit. It was the beginning of the end for Rafa, who left a season later – with his team that performed so brilliantly in 2008/09 starting to fall apart. Alonso went on to win Champions Leagues with Real Madrid, La Liga titles and subsequently Bundesliga ones with Bayern Munich. When it became clear those interested in Xabi were only prepared to pay £15m — and Aston Villa wanted £30m for Barry — the club pulled the plug. I, along with a lot of others, was delighted but there’s no doubt the intervention caused problems, with Rafa and Xabi, and Rafa and the board. It was a pivotal moment. Xabi stayed and his form surpassed the level of his spectacular first year. We finished runners-up to Manchester United in 2009 but when Real Madrid arrived on the scene for him, I became fearful he would go as the wounds of 12 months earlier had not healed. This is where I have my biggest problem. I had no issue with Xabi wanting to join Real — for Spanish players that is the pinnacle — but I couldn’t understand why Benitez didn’t hold out an olive branch to sort things out. Benitez had his best team in five years at Anfield. We were close to having a team that could win the Premier League and perhaps reach another Champions League final. Why did he have to continue the fight with Xabi? He had won the initial battle by getting the upturn in his form. 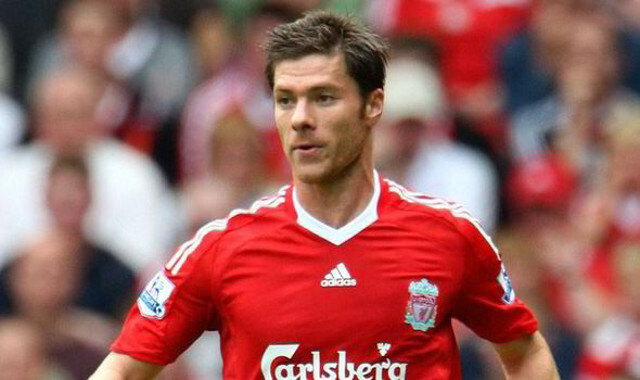 What’s more, Xabi was under contract, so Liverpool didn’t have to sell. They proved that the same summer when not letting Javier Mascherano join Barcelona. But the writing was on the wall for Xabi and things were never really the same after he left. The team suffered in what proved to be Benitez’s final year. Alberto Aquilani, Xabi’s replacement, arrived from Roma with an injury — he didn’t play until October 2009 — and he wasn’t good enough to fill the void. The way our team functioned broke down. At a basic level, I would give the ball to Xabi, he would pass it on to Stevie and the final ball would go to Fernando Torres. It was quick passing, Xabi’s impeccable touch made it all come together, but Aquilani was never able to have the same input. Xabi’s departure affected everyone.